When SCUP 2011 is used, applying CU4 goes a little bit different. Here are the steps how to do it, assuming the hotfix is downloaded and accessible by the site server. I used http://technet.microsoft.com/en-us/library/jj553405.aspx as a reference. Before starting, verify a valid backup is available. First, the update must be applied to the site server. Log on the Configuration Manager site server with a user account that has administrative privileges to execute the update. 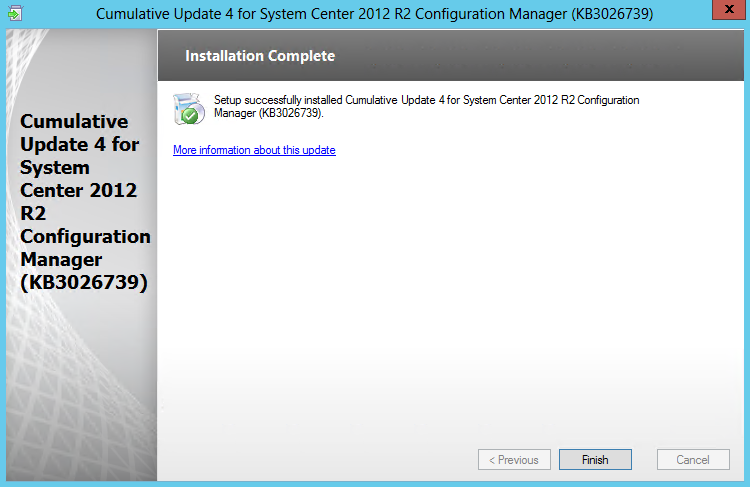 Start the .exe file to start installing the cumulative update. 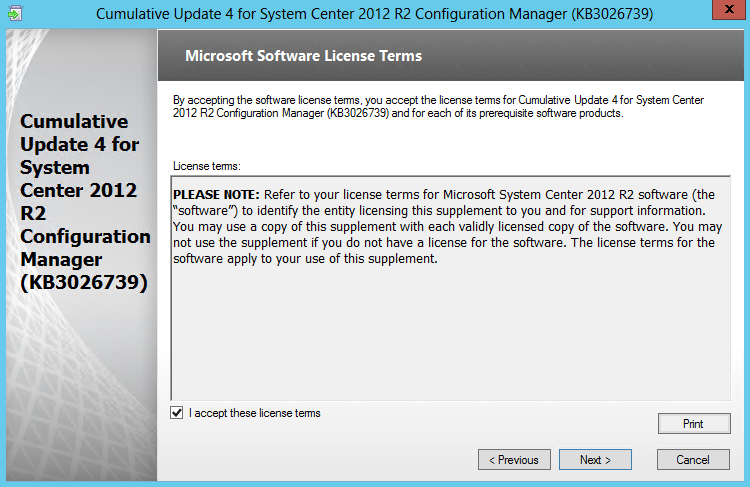 Accept the License Terms en select Next. The prerequisite check verifies if all prerequisites are met. 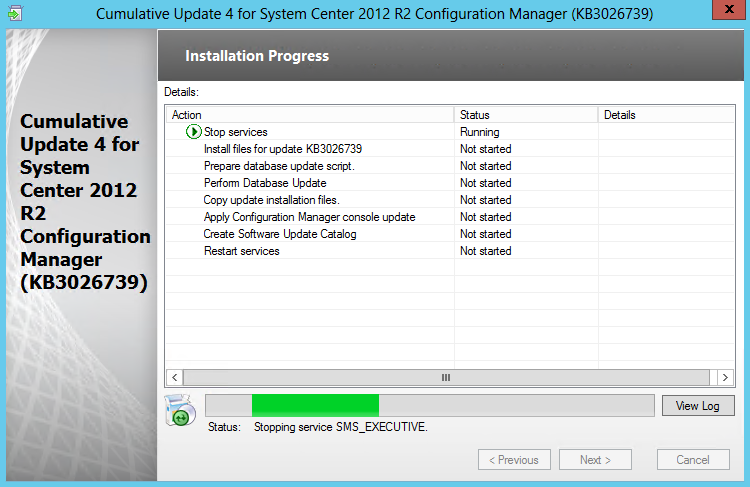 In this screenshot a previous software installation needs to be restarted to be completed. In this case the installation may continue by pressing Next. 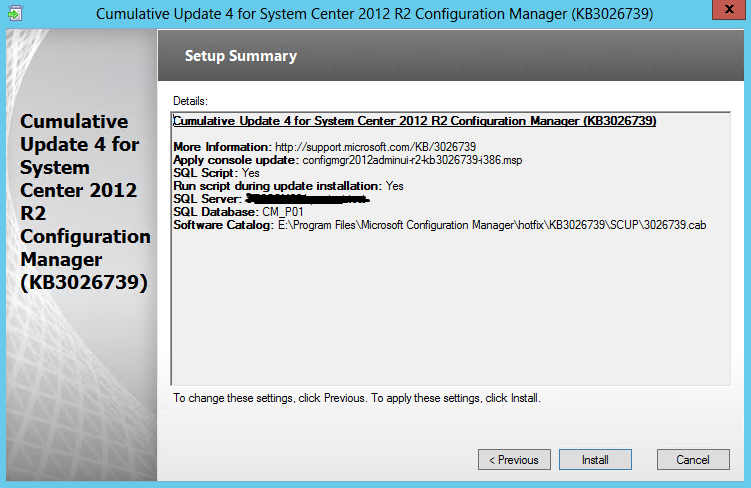 The installation is run on the site server which runs the Configuration Manager console. Make sure the checkbox is filled in and press Next. Select Yes, update the site database and press Next. The distribution and deployment will be done using Software Updates, this means the packages are not going to be used. To prevent them from creating, uncheck each checkbox and press Next. Review the summary and select Install. After a few moments the installation is finished successfully. Select Next to continue. 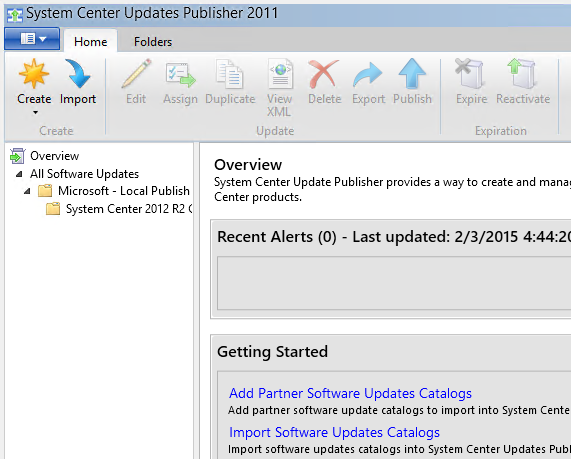 System Center Updates Publisher 2011 (SCUP) allows publishing updates to WSUS in conjunction with Configuration Manager that are not published by Microsoft Update. 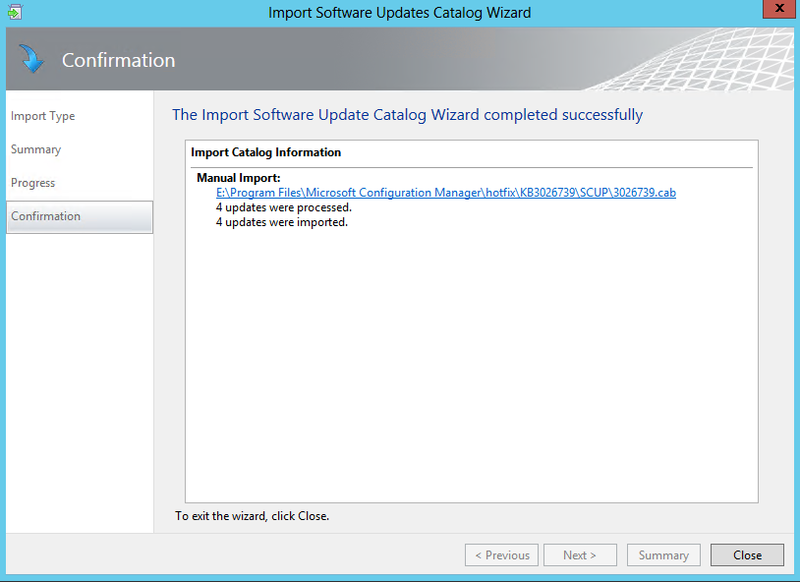 Catalogs are used to import these updates to SCUP 2011 which are then published to WSUS. 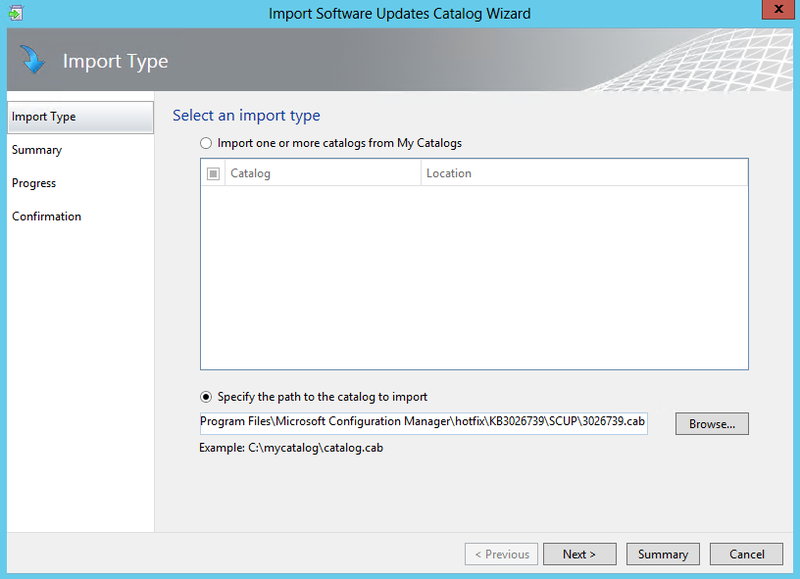 The cumulative update contains a catalog that can be imported into SCUP 2011. Start SCUP 2011, make sure to start this application by the Run as administrator feature. 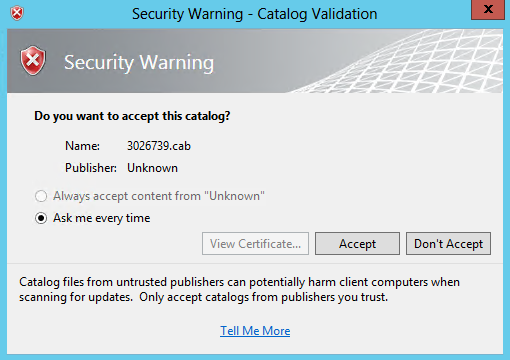 Browse to the catalog file (.cab) and press Next. The security warning pops up. Because Microsoft delivers this hotfix, it is safe to trust them by pressing the Accept button. The updates are imported successfully. Select Close to close this window. The updates are now visible in the Console. 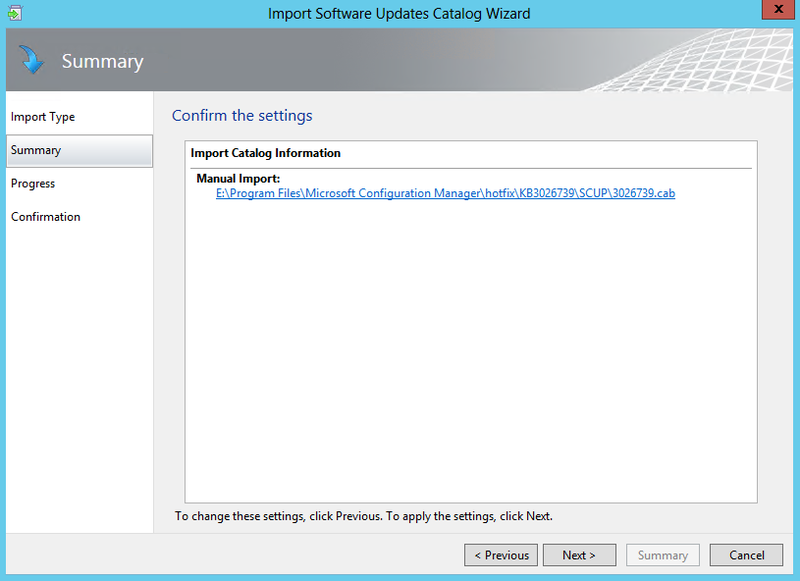 Select the updates and choose Assign. The publication type must be Full Content. 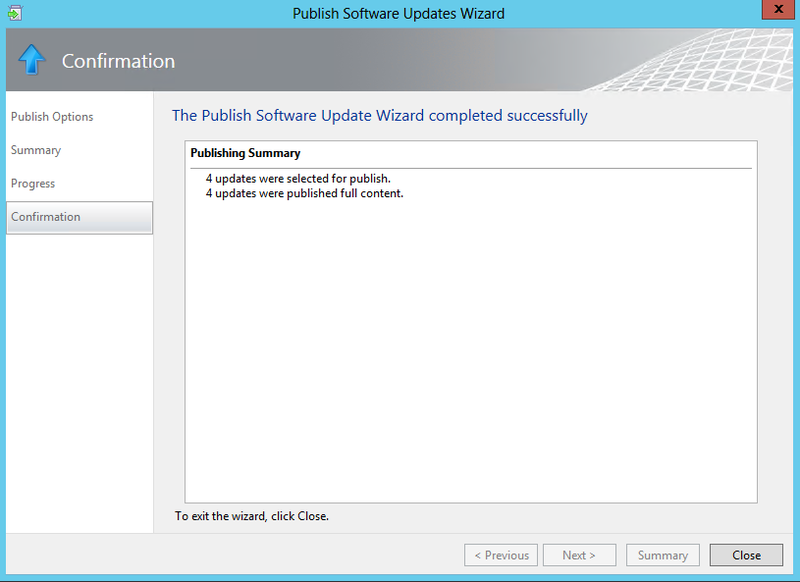 Create a new publication as displayed and press OK. In the Publications tab, select the newly created publication and press the Publish button. Review the summary and press Next. The updates are published successfully. Press Close to close the window. All tasks in SCUP are completed and the SCUP console can be closed. 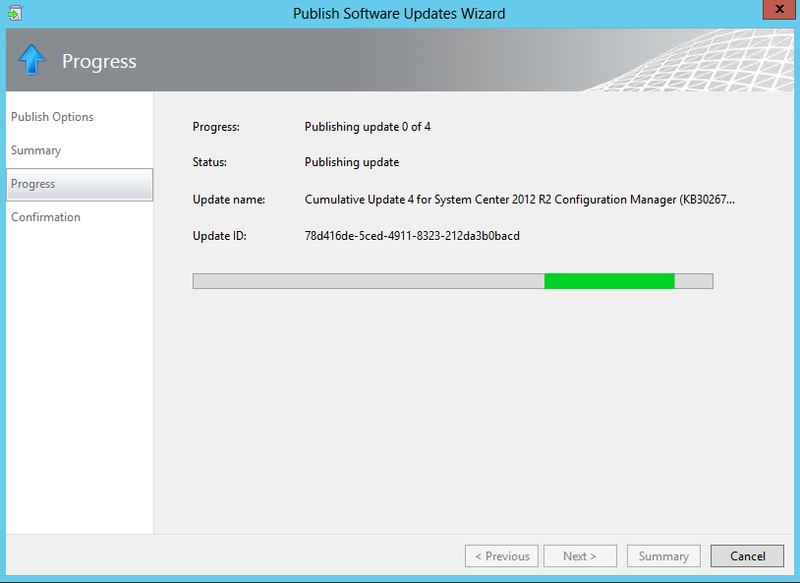 The final step is distributing the updates for deployment. 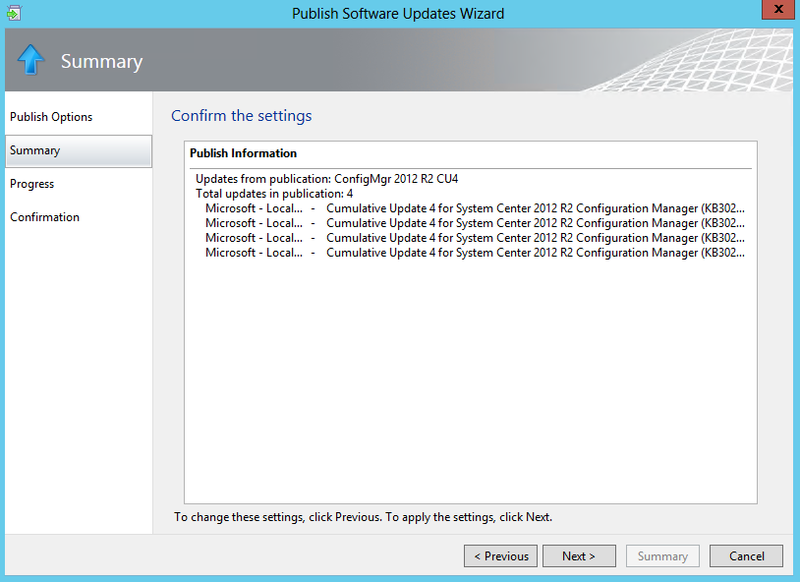 The following Software Updates synchronization should pick up the newly published updates. 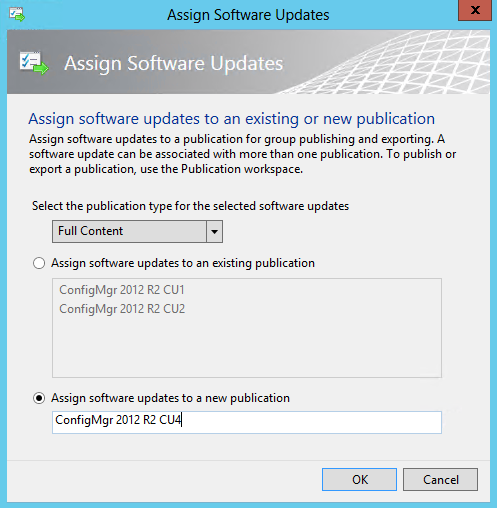 Review the wsyncmgr.log file to verify the updates are synchronized by Software Updates. It is recommended to have a separate Automatic Deployment Rule which is targeted to the All Desktop and Server Clients device collection. In this scenario, it is not scheduled to run automatically since it rarely has to run. Select the Run Now option to run the Automatic Deployment Rule. 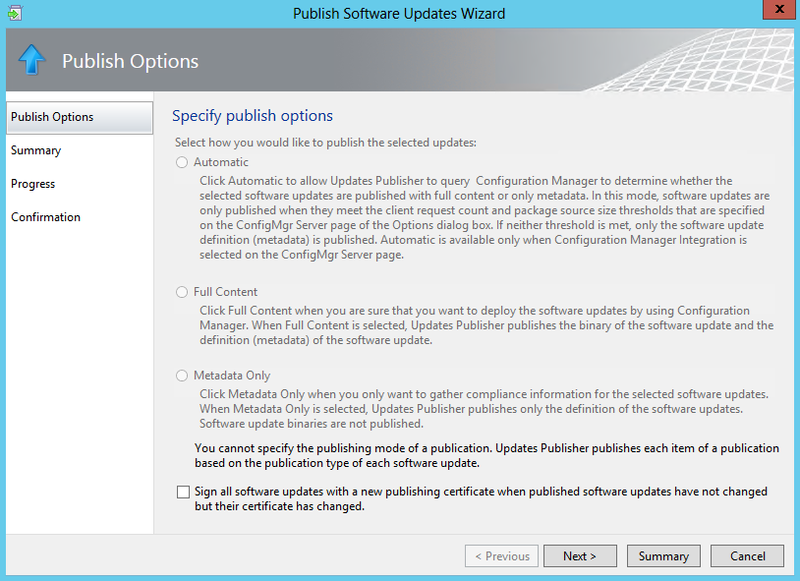 Verify the newly published updates are part of the Deployment Package. 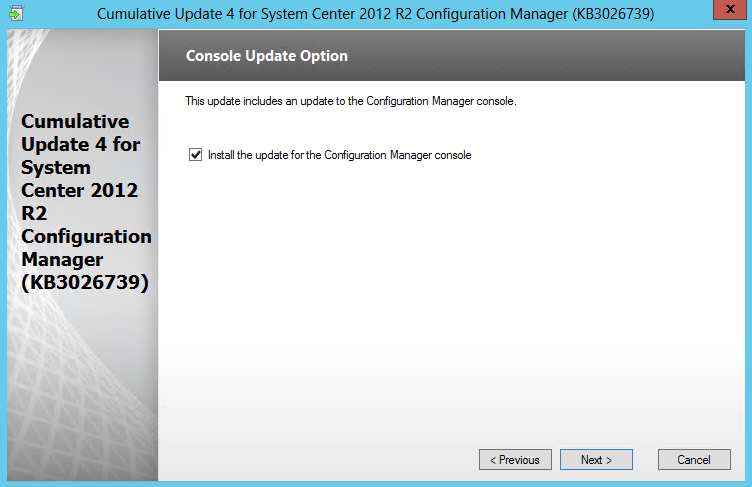 Once present and distributed, Configuration Manager clients are able to download and install the updates automatically. The client itself will determine which particular updates are needed. That’s it. Feel free to try this method in a test environment before applying this in a production environment.